A video that aired Tuesday night at the Democratic National Convention proclaiming that “government is the only thing that we all belong to” is getting strong reaction from conservatives, and the Obama campaign is disavowing involvement in the production, BuzzFeed reports. An Obama aide emailed BuzzFeed disavowing involvement in the video: “The video in question was produced and paid for by the host committee of the city of Charlotte. 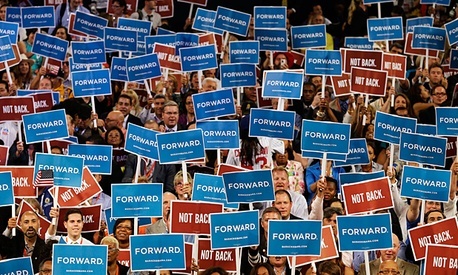 It’s neither an OFA nor a DNC video, despite what the Romney campaign is claiming. It's time for them to find a new target for their faux outrage." The executive director of the host committee also said that the video was unaffiliated with both the campaign and the Democratic National Committee.